Trivandrum, 6 January 2013: Metro-man E Sreedharan was selected as the News Maker 2012 in the TV show conducted by Manorama News TV in association with Idea Cellular. In the final round telecasted in Manorama News yesterday, Malayalam University Vice Chancellor, K. Jayakumar announced the winner. Along with E Sreedharan, Actress Swetha Menon, Home Minister Thiruvanchoor Radhakrishnan and Actor Dileep were also voted into final round. E. Sreedharan emerged victorious from six lakh plus voters through SMS, GPRS and Online voting process. 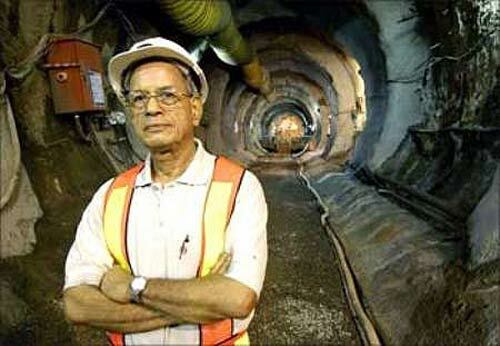 E Sreedharan born in Palakkad is a civil engineer by profession and is known for his dedicated work in building Konkan Railway, Delhi Metro etc. Manorama News aired debates of finalists with audience and selected guests during the selection process. V S Achuthanandan, Pinarayi Vijayan, G Madhavan Nair, Rasool Pookutty, Preeja Sreedharan and Kochouseph Chittilappilly were the previous years' News Makers.